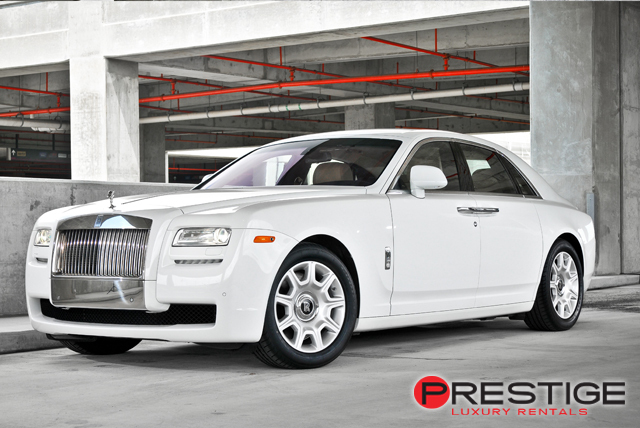 The Rolls Royce Ghost is a vehicle you want to rent and then get somebody else to drive. Passenger comfort is the main design goal of this vehicle and it succeeds admirably. 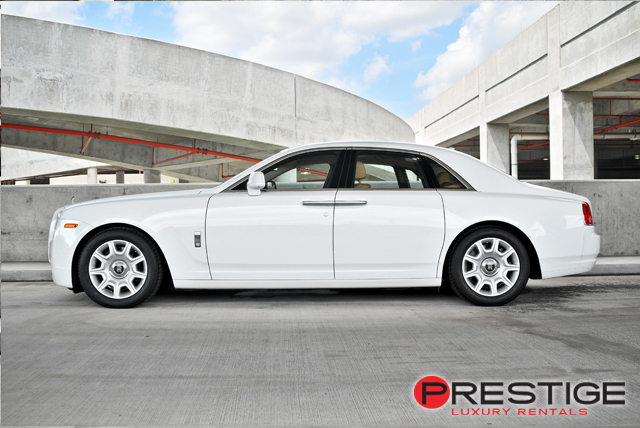 The rear passenger in a Rolls Royce Ghost is treated to supple, hand stitched leather seats that feature individual head rests and a built-in full body massage system. This is a car where the rear passengers can control their own individualized climate and a cup holder is always at hand. It is truly a blissful experience and one that is designed for escorting dignitaries or high powered executives in the lap of luxury. 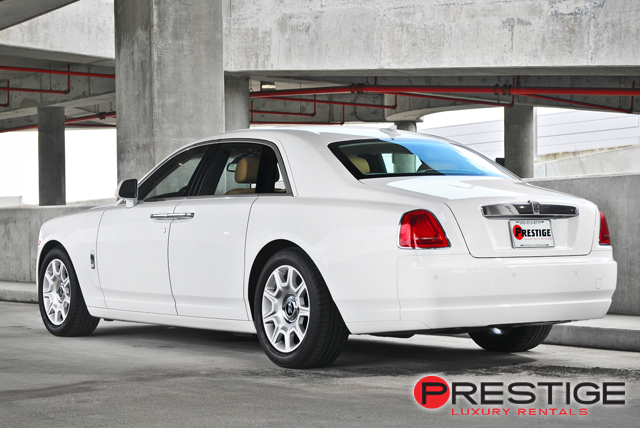 If you are looking to impress your boss or a high level executive while on a business trip in Miami, rent a Rolls Royce Ghost Rental from Exotic Car Rentals Miami. In addition to the luxury of the vehicle, we will provide delivery directly to your terminal at the Opa-Locka Executive Airport or Kendall Tamiami Airport, which means you and passengers won’t have any delay between arriving at the airport and getting into the car. We provide service to any miami airport. The time you save is extra time you can spend enjoying the amenities at the luxurious Fontainebleau Spa and Resort. This Rolls Royce Ghost will also be a perfect car for a wedding.